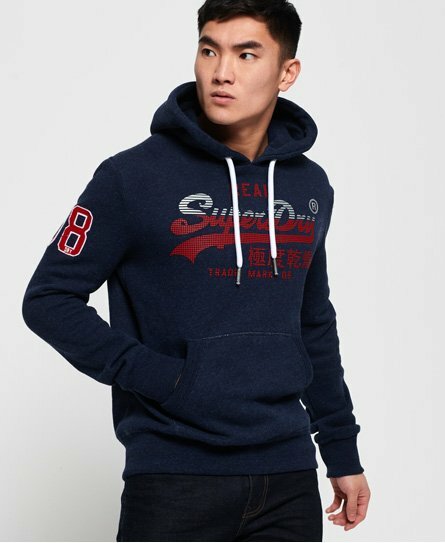 Superdry men’s Vintage logo CNY hoodie. This hoodie has been inspired by the celebration of the Chinese New Year. This hoodie features a draw cord hood, the iconic Superdry logo across the chest in a textured print and an applique number logo on the sleeve. In addition, this hoodie also has a handy front pocket and ribbed trims for a comfortable fit. Team this hoodie with your favourite jeans and trainers for a casual outfit.